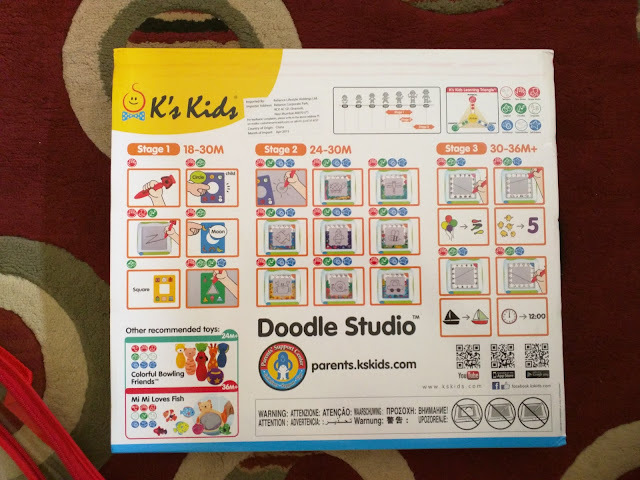 My kiddo recently got this K's Kids Doodle Studio as a gift from Hamley's. 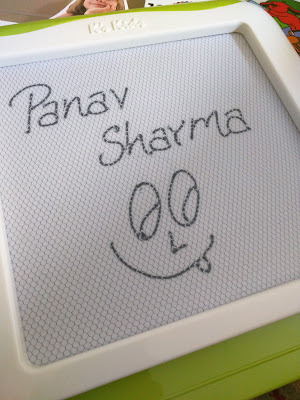 Though it is something he will be able to use only after another year or so, I was nonetheless thrilled because as a kid myself I loved to draw and doodle, and would love to inspire creativity in my kid too! There are 3 stages in which this product can be used, starting at 18 months and going on till your child is 3 years old! That's quite a long time, hopefully they will not have broken it by then! 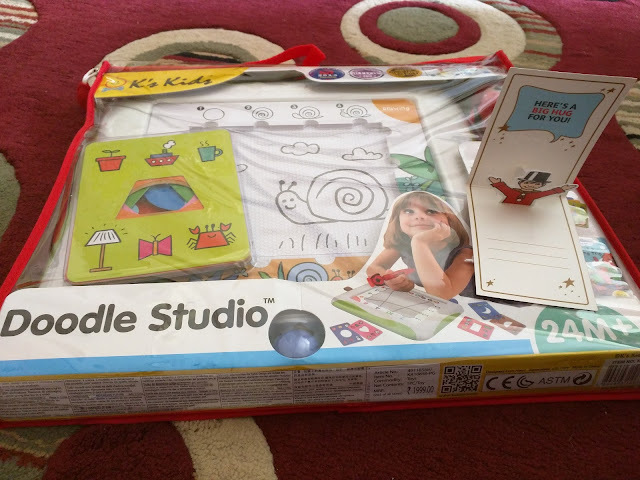 It contains a drawing board that wipes itself, a stylus, shape cards, drawing aid cards and a how to draw booklet. It's so smartly put together, Kudos to whoever thought of the concept! 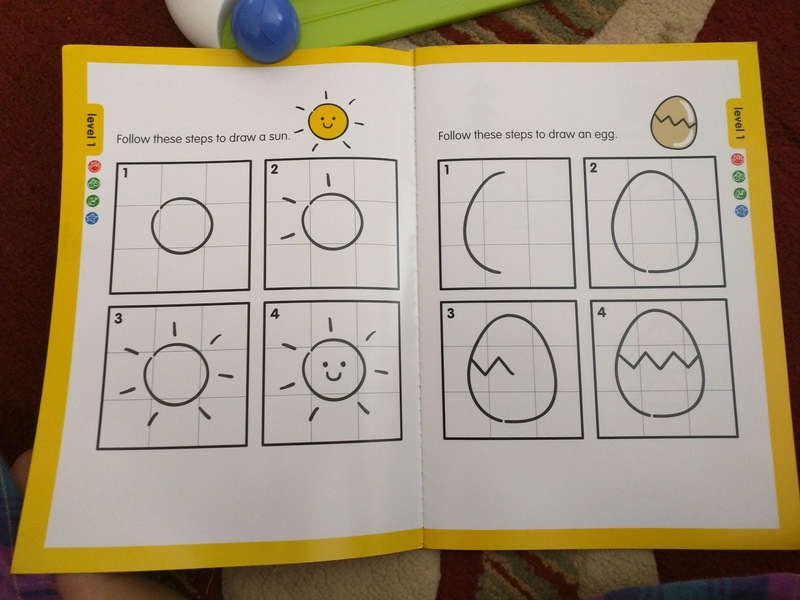 I love how my kid will not waste papers in order to doodle, we need to be eco-friendly after all. To draw a simple shape, all one has to do is place the shape card, outline it with the stylus and tada! 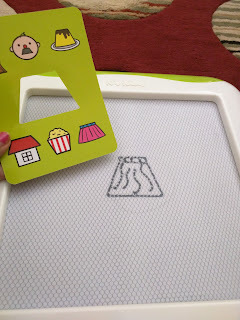 The shape card also has different objects that can be further drawn using the shape. 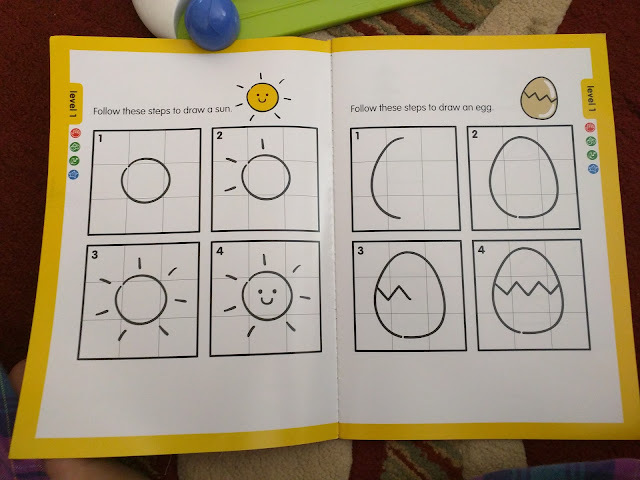 So basically your kid will learn about different shapes and objects! And later on try their hands on free-hand drawing, using the how to draw booklet! And here is the easiest, magical part - erasing a doodle! Simply wipe it once and it vanishes. I'm sure kid's are going to love doing this, hahaha! 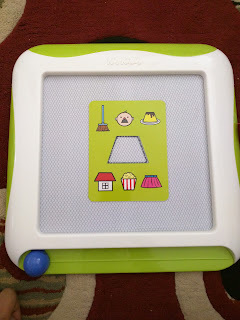 This one product takes care of Fine Motor, Gross Motor, Logical, Creative, Emotional & Self Esteem Development in the kid! They have not inserted any user-manual, but a PDF can be easily downloaded, and they even have a Android or iOS app for the same! How I wish we had such technology in our times, what wonders could have been done. But I am really grateful my kid at-least is born in this era. K's Kids has many more wonderful innovative toys that can not only keep your kid's busy, but ensure of their overall development! Do check the website out, their products are available in any Hamley's stores across India.